Have your own CIO starting at under $5K per year! The average executive salary in the United States for a base level Chief Information Officer (CIO) is about $125k to $185k per year. Paying this type salary is outside the realm of possibility for most small to medium-sized business (SMB) entities. However, the need for such expertise is no less important. Having a Virtual CIO with strong technical expertise, strategic skills and leadership experience will help ensure your organization remains competitive. A Virtual CIO will help you leverage and maximize your technology investments while providing necessary guidance and direction for growth. 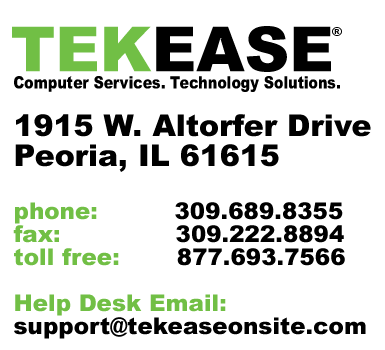 TEKEASE Virtual CIO service will provide you with industry leading IT consulting for architecture design, application/platform selection and staff training in combination with our expert level problem resolution services and IT project management services. Even if you have a good mid-level IT staff and are looking for a way to add broad industry experience for about 1/10th the cost of a base level CIO, this service is for you.